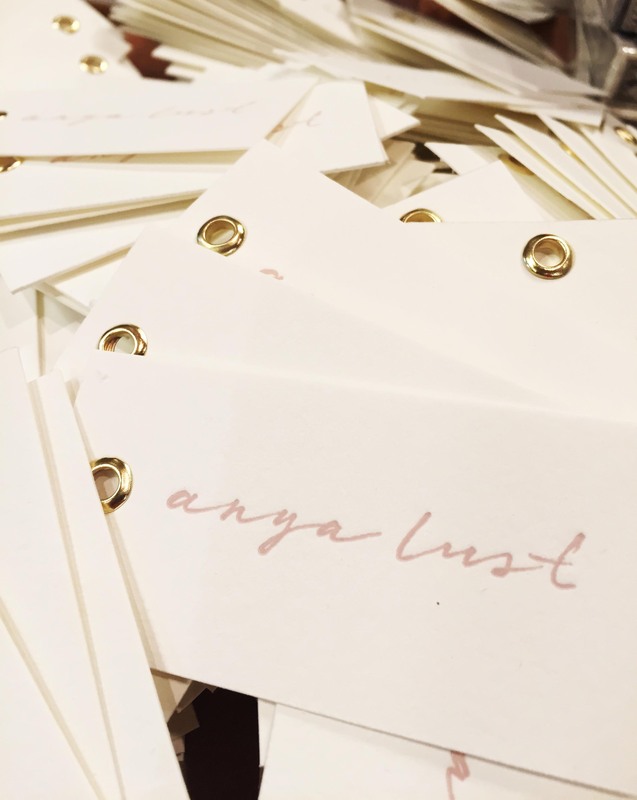 Anya Lust is a new lingerie company based in Philadelphia. The talented designer/owner asked us to make these sweet letterpressed hang tags for her products. We matched her branding color and added the gold grommets. Presentation matters! If you are feeling inspired by these hang tags go to our letterpress page to get a quote!